Experience the ultimate home from home feeling at PH Hotel Oosteinde. This fantastic location on Oosteinde between Utrechtsestraat and De Pijp offers an oasis of luxury in the hustle and bustle of Amsterdam. The trendy but warm interior embraces you like a warm blanket and our hospitable staff does the rest. They know what’s on offer and where to find best new places in Amsterdam. The comfortable hotel rooms behind the facade of this characteristic Amsterdam building each have their own charm. What they have in common is a design that can best be described as a rebellious mix of rich materials and original details. 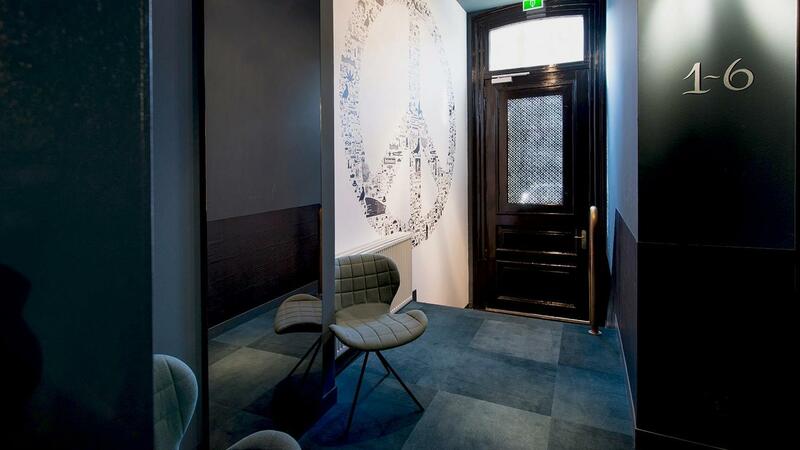 Soft carpets next to exposed brickwork and subdued colours against distinctive and comfortable facilities. This ‘urban luxury’ atmosphere exudes warmth, calm and comfort, with respect for and a playful reflection on the building’s history. You’ll feel at home in Amsterdam straight away in this elegant city hotel. Culture, shopping and going out: everything is within walking distance of PH Hotel Oosteinde. The adjacent Utrechtsestraat is one of the nicest shopping streets in Amsterdam. From boutiques and flower stalls to trendy fashion brands and herring stalls: here too, the variation provides a sense of warmth and unity. Theater Carré, Rijksmuseum and the Hermitage are all within walking distance of PH Hotel Oosteinde. Visit Restaurant Harmsen in Utrechtsestraat, also known as ‘little Paris’ because of its casual atmosphere. The changing menu offers a combination of Mediterranean flavours and Asian cuisine. If you love traditional Italian cuisine, we’d be delighted to book a table for you at Segugio. This Italian restaurant, also on Utrechstestraat, serves typical regional dishes; simple, pure and traditional. Or why not try something totally new and visit Mamouche for a surprising combination of Moroccan and French cuisine. As aperitif, you can enjoy their famous home-made rose liqueur from the Atlas Mountains, served with Prosecco. PH Hotel Oosteinde also recommends a visit to The Pancake Bakery, a restaurant located in an old East India Company warehouse on Prinsengracht. These influences resonate in the Pancake Bakery’s kitchen, with many international influences taking pride of place on the menu alongside traditional Dutch favourites.